Learn how to update your QuickBooks Desktop Point of Sale to the latest release. The Automatic Update feature allows QuickBooks Desktop Point of Sale to download the latest updates, whether or not the program is running. In this article, we'll walk you through how to set this up. Check to see if you have the latest release patch. Go to Help and select About Point of Sale. In the About QuickBooks Point of Sale window, check the current version and release. 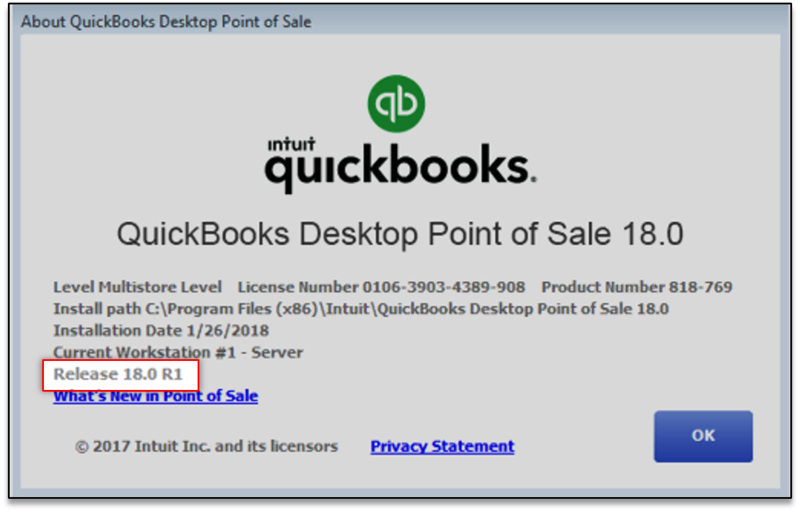 Check the latest release available for your QuickBooks Desktop Point of Sale 18.0. Go to the Downloads & Update web page. From the Select Product drop-down, choose QuickBooks Point of Sale. From the Select Edition drop-down, choose the appropriate edition. From the Select Version drop-down, choose the appropriate version or year. Select Get the latest updates, then Save file to download update. When the download completes, double-click to install the file. You may need to restart Windows after the installation is complete. Accessing the install file on your computer from another computer. Copying the install file to a flash drive and then to the desktop of another computer. There are two ways to update your product automatically. Option 1: Use QuickBooks Desktop Point of Sale to update automatically with any new releases. From the Help menu, select Software Updates and choose Check for Updates. Choose the Update now radio button, then select OK. When the Update Complete message appears, close QuickBooks Point of Sale for Desktop and restart your computer. Use this option if you want to automatically download future updates once they are released. From the Help menu, select Software Updates and choose Updater Preference. To turn on automatic updates, go to the General tab and select the radio button for Automatically download updates. To share automatic downloads with other computers on your network, go to Shared Downloads tab and select Yes.